Last week we embarked on our first international tour, the Welsh Tour Of Wales 2012, taking in such esteemed venues as Rummers Wine Bar and The Scholars in Aberyswyth. Although the gigs were a success (people clapped and stayed in the bars), injury was the theme of the tour, with Clatter tearing the ligaments in his left knee whilst performing his famed tambourine solo during American Pie. Here, for your delectation, is a video of our opening number, Road To Nowhere. As well as being our opening number, this is also our mission statement. 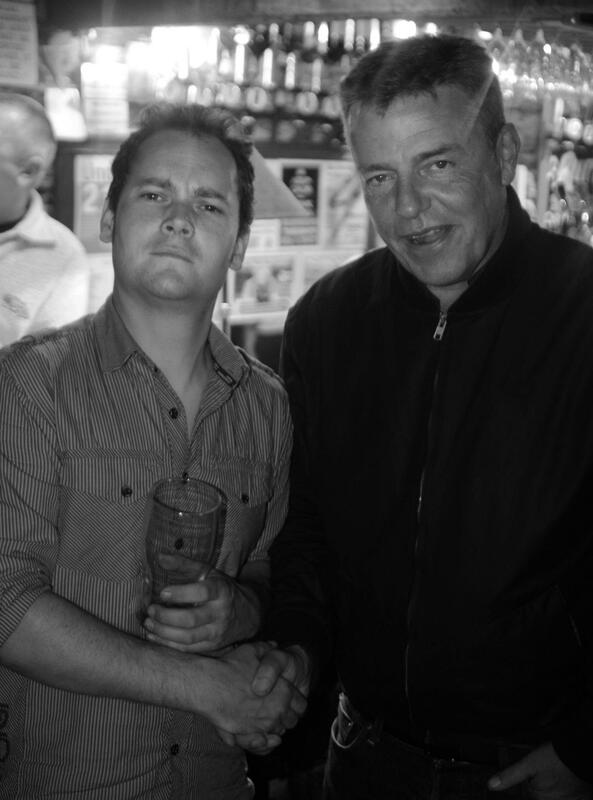 A nice surprise was the visit to our opening gig of Suggs, from Madness. Sadly, being a singer, he came in late, 5 minutes after we finished playing. Never mind. We’ll be back in Aber for the 7th and 8th of December as part of our Non-Festive International Xmas Tour 2012. Please check our gigs page for more details.